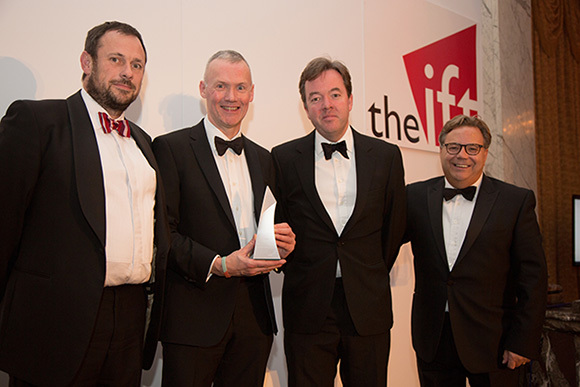 The IFT hosted their annual awards ceremony last night at the Landmark Hotel, recognising the outstanding work in corporate rescue, turnaround and investments in troubled businesses. We are delighted to announce that the Rcapital team won Investor of the Year for the transformational turnaround and sale of Morses Club PLC. In May, Rcapital completed its most ambitious and unique turnaround to date – the successful merger of Morses Club and Shopacheck Financial Services creating Morses Club PLC from two underperforming orphans of insolvent parents. Morses Club is now a thriving and profitable business that achieved a day one valuation of £140m when it was listed on AIM earlier this year. The transformation and sale of Morses Club has been a landmark investment for Rcapital and the sector. The team united to face immense challenges, whilst restlessly pursuing a vision for growth. Earlier this year, Rcapital was awarded European Turnaround of the Year by the Turnaround Management Association for their outstanding turnaround and corporate renewal of Tie Rack / Rolling Luggage. This award follows a series of high profile Rcapital portfolio exits including Summit Media, and a number of other successful investments in 2016.